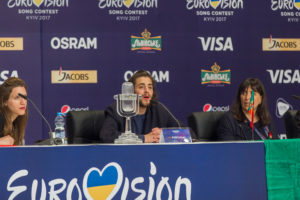 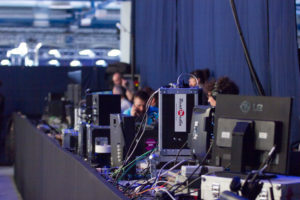 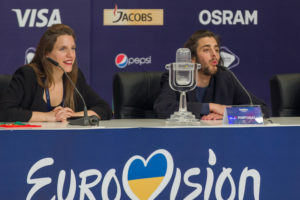 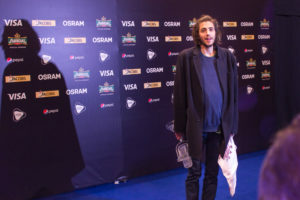 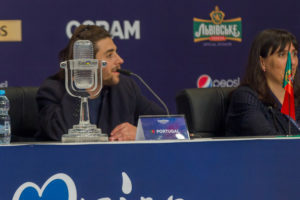 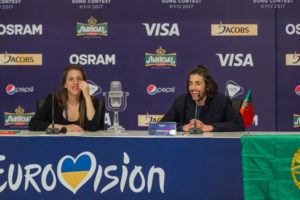 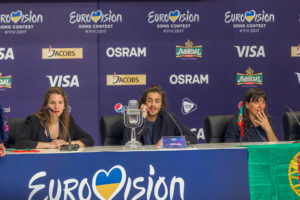 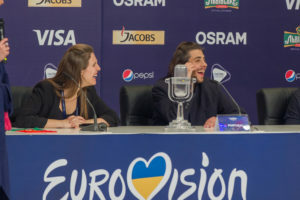 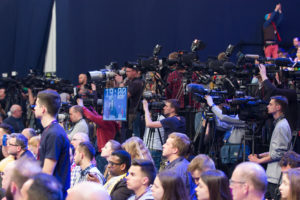 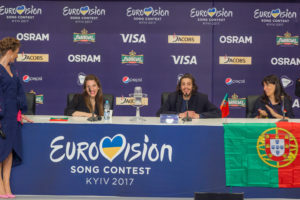 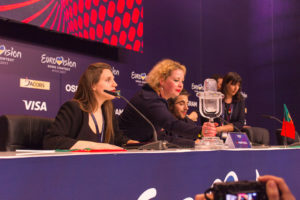 Shortly after the Grand Final of the 2017 Eurovision Song Contest, the traditional Winner’s Press Conference was held. 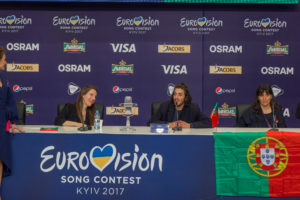 Here Salvador talked about the importance of real appreciation for music, as opposed to just listening to whatever is on the radio. 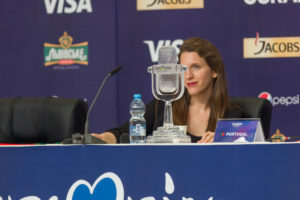 And he press got to get a good look at the trophy. 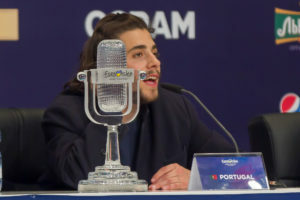 The lyrics of Amar Pelos Dois are completely void of any reference to a specific gender. 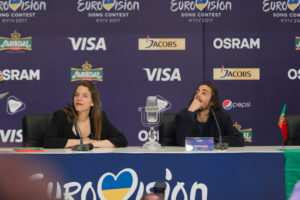 When asked about this, writer of the song, Salvador’s sister, and stand-in for his regular rehearsals Luisa Sobral explained that there was no LGBT motive for that. 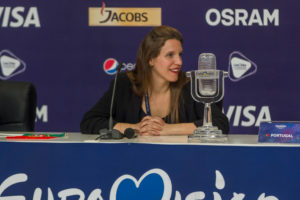 Rather, when she writes lyrics to a song she prefers to keep them personal for both her and the one singing it. 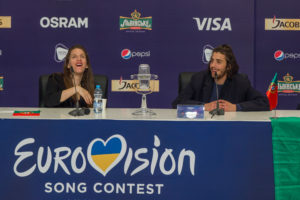 With both her and her brother being straight, this resulted in a gender neutral song.